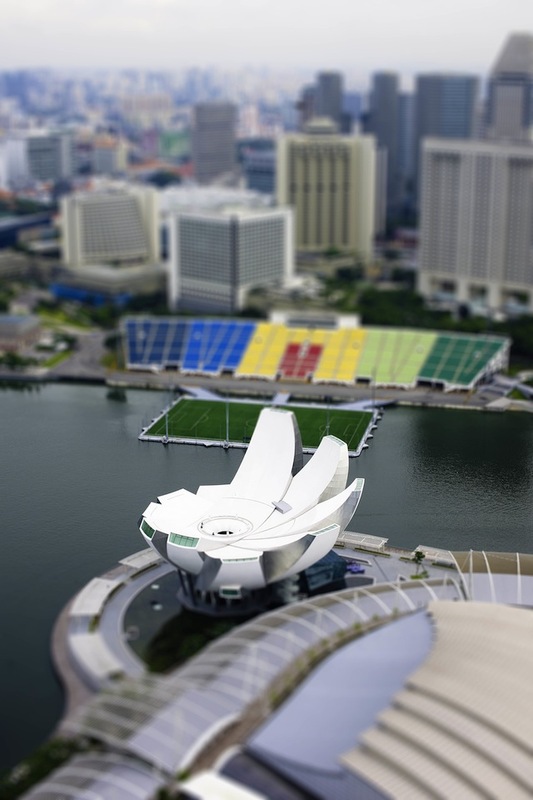 ArtScience Museum‘s white architectural form, reminiscent of a lotus flower, is referred to as “The Welcoming Hand of Singapore”. Anchored by a round base in the middle, with ten extensions known as “fingers”, the design concept for each finger denotes various gallery spaces. Skylights at these fingertips are included as sustainable illumination for the curved interior walls. 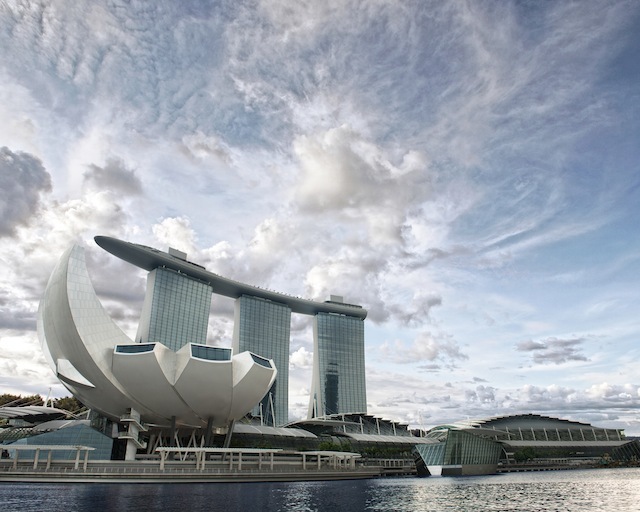 Another eco-friendly feature is that tropical rainwater is recycled for use in the building’s restrooms. Water is harvested and channeled down the center of the building, flowing through its bowl-shaped roof into a reflecting pond at the lowest level of the structure. 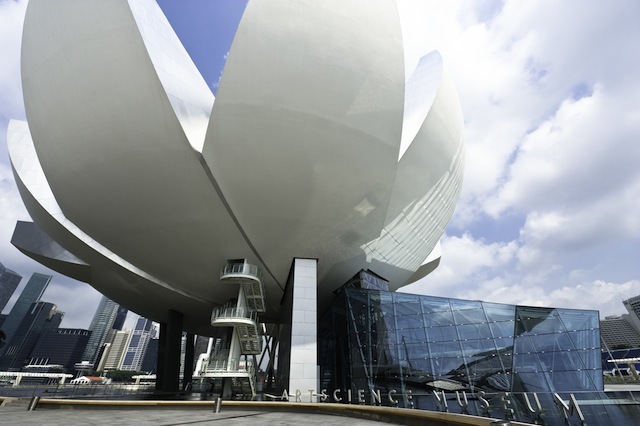 Although the ArtScience Museum has a permanent exhibition, ArtScience Gallery (consisting of three galleries: Curiosity, Inspiration, Expression), it mainly hosts touring exhibitions curated by acclaimed international museums. Some of the famous art exhibits at the ArtScience Museum have included Van Goh Alive, Dalí: Mind of a Genius, and most recently Andy Warhol: 15 Minutes Eternal.